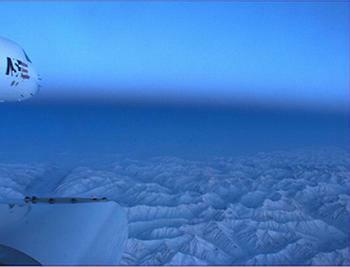 BOULDER, Colorado, September 9, 2011 (ENS) – A three-year series of pole-to-pole research flights from the Arctic to the Antarctic has successfully produced an unprecedented portrait of greenhouse gases and particles in the atmosphere, scientists announced today. The series of flights, which come to an end today, are allowing scientists to target both the sources of greenhouse gases and the natural processes that draw the gases back out of the atmosphere. Stephens told reporters on a teleconference that he has documented “plumes” of the greenhouse gas carbon dioxide over the Arctic and “plumes” of oxygen coming out of the Southern Ocean that arise from the photosynthesis of microscopic organisms in the ocean. “We can count up all the CO2 molecules in the atmosphere to test the predictions of the computer models,” said Stephens. The scientists say they now have about 10 years of analysis ahead of them to draw conclusions from the mass of data they have collected. The three-year campaign has relied on the capabilities of a specially equipped Gulfstream V aircraft, owned by the National Science Foundation and operated by NCAR. The research jet, known as the High-performance Instrumented Airborne Platform for Environmental Research (HIAPER), has a range of about 7,000 miles. 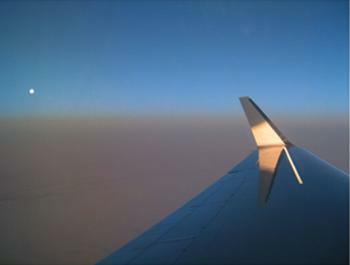 The flights have helped scientists compile extraordinary detail about the atmosphere. The research team has studied air samples at different latitudes during various seasons from altitudes of 500 feet (150 meters) above Earth’s surface up to as high as 45,000 feet (13,750 meters), into the lower stratosphere. HIPPO, which stands for HIAPER Pole-to-Pole Observations, brings together scientists from organizations across the nation, including NCAR, Harvard University, the National Oceanic and Atmospheric Administration, Scripps Institution of Oceanography, the University of Miami, and Princeton University. The National Science Foundation, which is NCAR’s sponsor, and NOAA, are funding the project. The first of the five HIPPO missions began in January 2009. Two subsequent missions were launched in 2010, and two in 2011. The final mission comes to an end today, as the aircraft returns from the Arctic to Anchorage and then to its home base at NCAR’s Research Aviation Facility near Boulder. Each of the missions took the research team from Colorado to Alaska and the Arctic Circle, then south over the Pacific to New Zealand and near Antarctica. The flights took place at different times of year, resulting in a range of seasonal snapshots of concentrations of greenhouse gases. The research was designed to help answer such questions as why atmospheric levels of methane, a potent greenhouse gas, have tripled since the Industrial Age and are on the rise again after leveling off in the 1990s. Scientists also studied how logging and regrowth in northern boreal forests and tropical rain forests are affecting levels of carbon dioxide in the atmosphere. Such research will provide a baseline against which to evaluate the success of efforts to curb CO2 emissions and to enhance natural CO2 uptake and storage. The team measured a total of over 80 gases and particles in the atmosphere. The team also found that black carbon particles – emitted by diesel engines, industrial processes, and fires – are more widely distributed in the atmosphere than previously thought. Such particles can affect climate in various ways, such as directly absorbing solar radiation, influencing the formation of clouds or enhancing melt rates when they are deposited on ice or snow. “What we didn’t anticipate were the very high levels of black carbon we observed in plumes of air sweeping over the central Pacific toward the U.S. West Coast,” says NOAA scientist Ryan Spackman, a member of the HIPPO research team. “In our first flights near the southern Pole, we saw the amount of black carbon in the atmosphere increasing with altitude,” said Joshua Schwarz, a physicist working in NOAA’s Earth System Research Laboratory. Researchers were also surprised to find larger-than-expected concentrations of nitrous oxide high in the tropical atmosphere. The finding has significant environmental implications because the gas both traps heat and contributes to the thinning of the ozone layer. Nitrous oxide levels have been increasing for decades in part because of the intensive use of nitrogen fertilizer for agriculture. The abundance of the gas high in the tropical atmosphere may be a sign that storms are carrying it aloft from sources in Southeast Asia. One of HIPPO’s most significant accomplishments has been quantifying the seasonal amounts of CO2 taken up and released by land plants and the oceans. Those measurements will help scientists produce more accurate estimates of the annual cycle of carbon dioxide in and out of the atmosphere and how the increasing amount of this gas is influenced by both the natural world and human society.